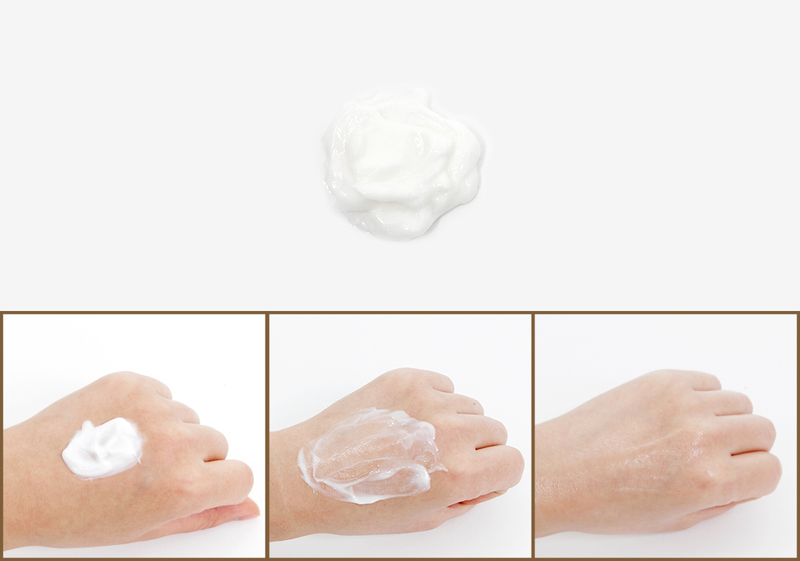 Radiant your Skin Care with the [Pureforet] Centella Multi Cream 70ml! we aim to provide you best korean products to take good care of your skin, including Cosmetics, Skincare, Cream. Hydra Cream online. The strong antibacterial and regenerative power! 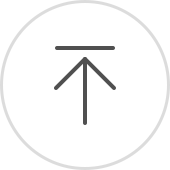 Centella Asiatica created mild skincare product, Centella Multi Cream, for the acne-prone skin. 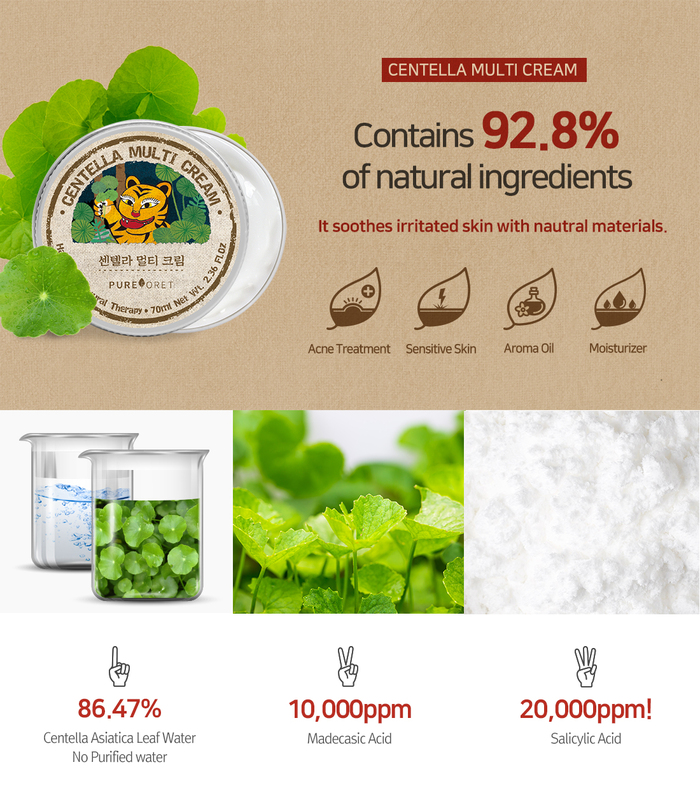 Gently apply this Pureforet Centella Multi Cream on entire face and neck. 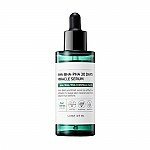 "Centella Asiatica Leaf Water, Propanediol, Helianthus Annuus (Sunflower) Seed Oil, Sodium hyaluronate, Macadamia Ternifolia Seed Oil, Beeswax, Polyglyceryl-3 Methylglucose Distearate, Glyceryl Stearate, Glycerin, 1,2-Hexanediol, rh-Oligopeptide-1, Centella Asiatica Extract, Scutellaria Baicalensis Root Extract, Camellia sinensis leaf Extract, Houttuynia Cordata Extract, Polygonum Cuspidatum Root Extract, Salix Alba (Willow) Bark Extract, Tocopherol, Panthenol, Allantoin, Simmondsia Chinensis (Jojoba) Seed Oil, Butyrospermum Parkii (Shea) Butter, Sodium Acrylate/Sodium Acryloyldimethyl Taurate Copolymer, Polyisobutene, Sorbitan Oleate, Caprylyl/Capryl Glucoside, Sorbitan Sesquioleate, Cetearyl Alcohol, Stearic Acid, Arginine, Carbomer,Ethylhexylglycerin, Melaleuca Alternifolia (Tea Tree) Leaf Oil, Lavandula Angustifolia (Lavender) Oil"
cat…@live.com.au first time trying this brand. it's an okay product. not sure i'f very effective though.